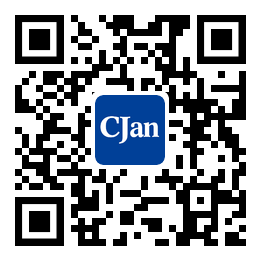 ﻿ Safety and Economy of Stainless Steel Pipe Fittings - CJan Fluid Technology Co., Ltd. In the actual pipe engineering, the structure of pipe fittings, in addition to the above described, there are many other types of structural pipe fittings, they are used to meet a variety of different working conditions, especially the special conditions of the requirements. In engineering design or selection, the higher the strength level of the pipe fittings, the higher the safety, but the greater the cost of the project, the more wasteful it will be. In terms of economic efficiency, the cost can be reduced as much as possible while meeting the requirements of engineering design. However, it is easy to form the result of a small number of varieties on the overall selection. Therefore, it is not conducive to the management, regulation of the construction materials and the material substitutions needed for the design change. Therefore, the selection of pipe fittings should be integrated with safety and economy, so as to reduce the variety of pipe fittings as appropriate. In addition, factors such as construction condition, construction level and purchasing period of pipe fittings should be paid attention to in the selection of pipe fittings. It is also necessary to consider the possibility of the use of reinforcement tube fitting, inclined pipe bending pipes and small diameter tubes. At the same time, it is necessary to know the production capacity and the product of the factory.